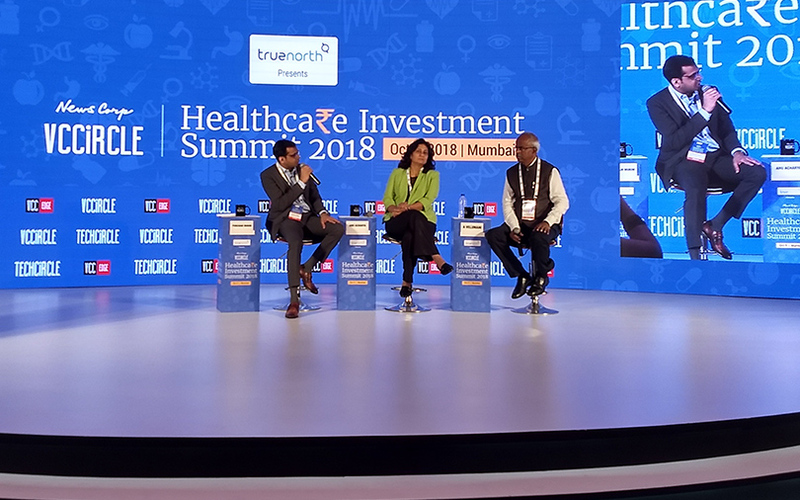 The diagnostics sector continues to attract investor interest even as valuations have tempered over the past two years, a top industry executive said at the News Corp VCCircle Healthcare Investment Summit 2018. “In diagnostics, capex is not needed and there is a lot of profit. Hence, the private equity interest,” said A Velumani, founder and chairman of Thyrocare Technologies Ltd, in a fireside chat. He, however, said valuations of listed diagnostics companies have corrected over the past couple of years. Thyrocare went public in May 2016 and its shares had gained 39% on the first day of trading to close at Rs 618.10 apiece. On Tuesday, the company’s shares ended at Rs 668.60 each on the BSE. This means the shares have risen only 8% since the listing day almost two-and-a-half years ago. Thyrocare had followed bigger rival Dr Lal PathLabs Ltd in floating an initial public offering. Dr Lal PathLabs had surged 50% on its stock market debut in December 2015 but has gained only 15% since then. Metropolis Healthcare Ltd is the latest company to file for an IPO. A couple of diagnostics companies such as Vijaya Diagnostics and Suraksha Diagnostics also got significant private equity funding in between. Velumani also said that both national and regional players will continue to co-exist. He added that a business-to-consumer (B2C) model offers greater value and profit but no volume while a business-to-business (B2B) model has a lot of volume but thin margins. Thyrocare is a B2B player while Dr Lal and Metropolis follow the B2C models. Velumani expressed concerns about the aggressive pricing by a bunch of funded diagnostics companies. He also said that, in terms of technology, not much has happened in the diagnostics market. Meanwhile, Anu Acharya, CEO of genetic testing startup Mapmygenome, said the genomics market will expand as the adoption of technology is getting a push and accessibility is increasing. In the next five years, when a new set of medical professionals come on board, then the adoption of technology will be faster. This will give a boost to the genomics market, she added. “Besides, we haven’t seen a push on preventive healthcare. The focus has to be early stage,” she said.